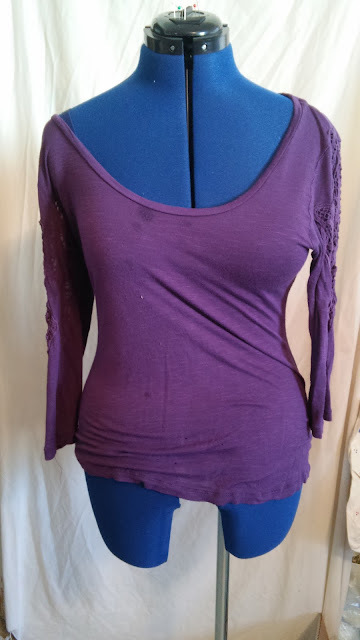 I bought it over a year ago because a) it's purple, and b) it has some really pretty lace inserts on the sleeves. Unfortunately, while it mostly fit well, it also had a really big neckline. It was always either too low in the front or falling off my shoulders. Very annoying to wear! For the past year it has mostly stayed in my closet. 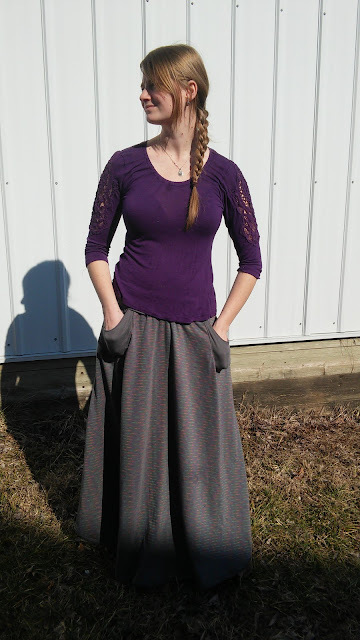 Then last week I wanted a purple shirt to wear with a new skirt I made, so out this one came. 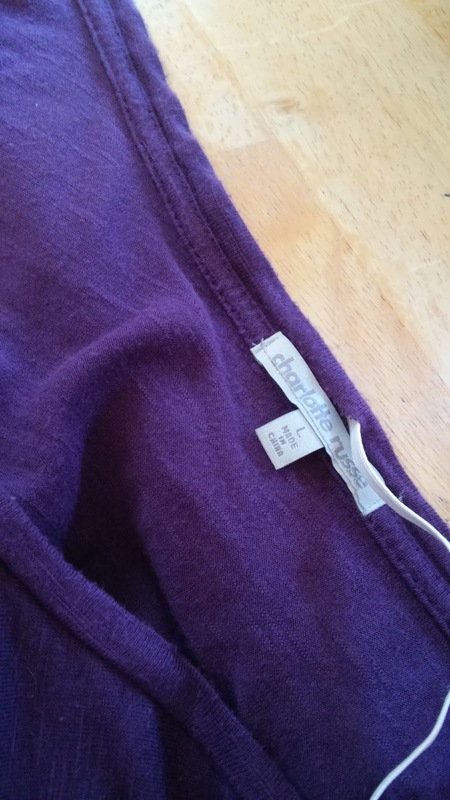 The neck binding looked like it would work for an elastic casing, so I made a little snip in it, right above the tag, being careful to only snip through one layer of fabric. Through this little hole I threaded some 1/4 inch elastic, cut to the size I wanted my new neckline to be. Once that was done, the shirt really did fit perfectly! Now it should be seeing a lot more time out of my closet. I wore it with my brand new skirt on a trip I took with my mom and brother over the weekend, and I'm happy to say I was comfortable the entire time! 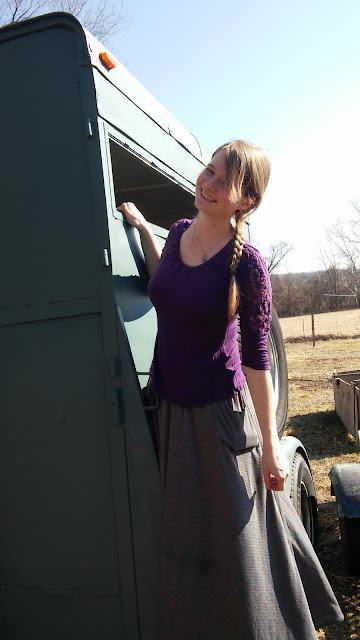 To see how my skirt was made and some pics from my trip check out my blog. Very cute! Love the skirt too! What a simple and clever fix. I never would have thought to do that. Thanks for showing us this smart idea.